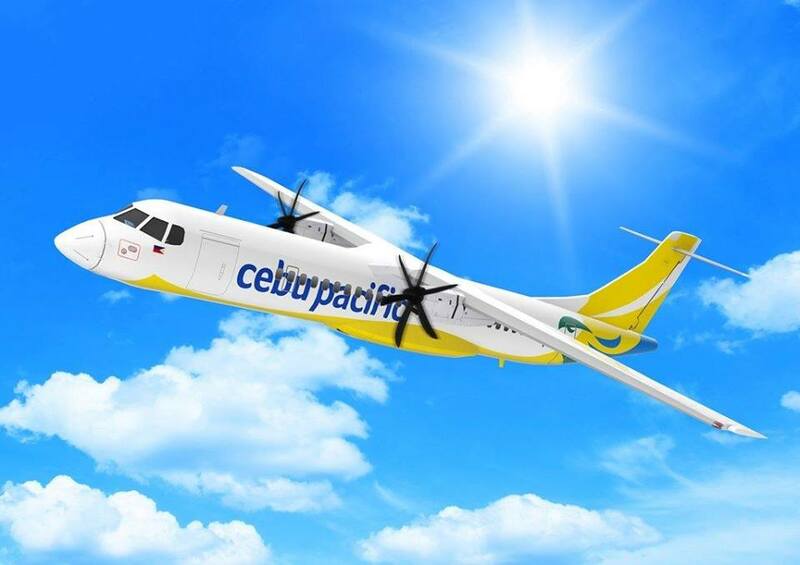 Aviation Updates Philippines - Cebu Pacific Air, together with the Manila International Airport Authority, announced the changes on the departure and arrival terminals of its ATR 72-500 and some selected flights and all Cebgo flights to the Ninoy Aquino International Airport Terminal 4. According to Cebu Pacific, its ATR 72-500 flights including some selected flights will be moved to the NAIA Terminal 4 in order to maximize the runway utilization at the airport. 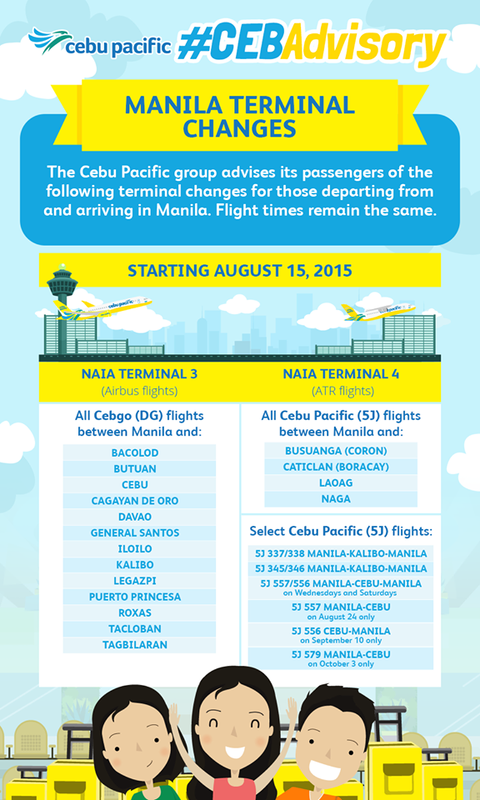 Cebgo, which operates an all-A320 fleet, will also transfer all of its flights to the NAIA Terminal 3. These changes are all effective starting August 15. "This is in line with the Manila International Airport Authority (MIAA) advisory, dated May 28, 2015, to maximize runway space at NAIA. CEB fully supports this government effort to improve air traffic conditions in Manila." Cebu Pacific said in a travel advisory. "The Cebu Pacific group advises its passengers of the following terminal changes for those departing from and arriving in Manila. Flight times remain the same," the airline added. Computer rendering of Cebu Pacific ATR 72-600 carrying its new logo. Recently, Cebu Pacific signed a $673 million worth of aircraft purchase comprising of 16 ATR 72-600 at the Paris Air Show. The 16 aircraft will be equipped with 78 slim-line seats and wider overhead bins with 30% more stowage space. These new technological innovations further enhance space and comfort for passengers.